I may not "love" unconditionally, that is too risky. But I do "love" seeing people push beyond their limitations, self-imposed or otherwise. That is what motivates me. I can't Xeper for anyone else, but will at least try to provide an online environment conducive to personal development, and help in the small ways I can. What is your definition of "love"? Love is a complex emotion. Neither do I love unconditionally now days. For me, to "love" something involves very strong positive feelings and emotions towards something I would defend and fight for its preservation, disregarding harm that may come to my own being in so doing. Re: Music thread A good one by Naglfar -- "Horncrowned Majesty", turn it up! I'a Nyarlathotep! The Black Prince who rideth the whirlwinds of the Abyss, hail thou Messenger who brought to the Earth the Shining Trapezohedron, thou who giveth to man substance of being and the knowledge of the Nine Angles. Open the Gate of Darkness that the black light of Starry Wisdom may illuminate the way. Come forth, O thou Herald of the Barrier, and enshrine within me your primordial essence. I'a Yog-Sothoth! Master of Dimensions, thou Faceless One who doth order the planes and the angles, and who art the gateway to worlds beyond time and spiritual black dimensions. Come forth, and guide me through the night of thy creation, and enshrine within me your primordial essence. I'a Shub-Niggurath! Primal Father and Lord of the Angles, Master of the World of Horrors, hail thou Black Ram of the Sun, and Deathless One! Come forth from thy burnt and blackened temple beyond the gates more ancient than time, and enshrine within me your primordial essence. We are become as One! The Old Ones were, the Old Ones are, and the Old Ones shall be again! They came and man was here: they sleep and we watch for them. They shall sleep, and we shall die, but we shall return through them. We are their dreams, and they shall awaken. Hail, to the Ancient Dreams! Unto the beginning and the ending of dimensions! May the undefiled knowledge of the Shining Trapezohedron enfold my being, and guide me as I Xeper and Remanifest in the Quest for the Infernal Graal. Open wide the Gates of Ry Leh and bring forth upon this world unfathomable creations. Let lose the Hounds of Tindalos that they may devour the souls of the righteous, and rend asunder the temples and mosques of the death-gods of men! The Way is Yog-Sothoth, and the Key is Nyarlathotep! Re: The Prince of Darkness living separately from the OU Set, the Prince of Darkness, does exist independently of and separate from the objective universe. Set exists within the universe but he, in his unique State of Being, is not a creature of the universe. Set's name ultimately means the Separator or Isolator -- to "Set Apart". It is this uniqueness of Set as a separate consciousness which defines his very existence, a Being able to create and destroy in accordance with his own Mind and Will uninfluenced by the natural resistance of the cosmic inertia. Set is the god of the subjective universe as he gave us the ability, through our sentience, to perceive and understand the universe in our own individual ways. Furthermore, as Set infused within that which would become mankind the Gift of his own Essence so also have we become creatures distinct and separate from the resistance of the cosmic inertia. It is through this Gift that we are become at once child and father of the Universe. As humans we are physical creatures of nature, however, our existence is a duel one for as bearers of the Black Flame, Magically we also stand apart from nature. 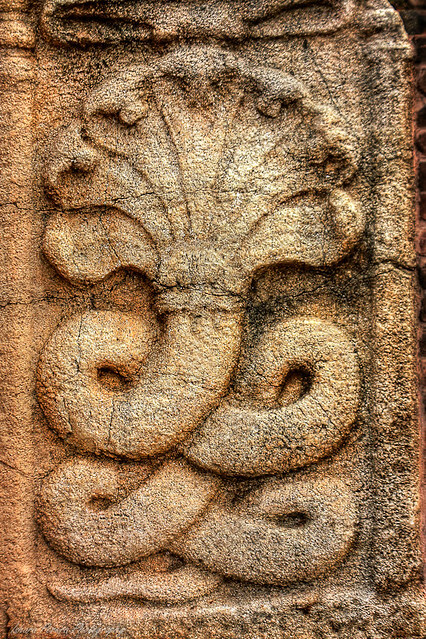 Re: The Symbol of the Serpent Yes, I remember Adept Joan Lansberry, a good friend to me in my Temple of Set days. Re: Last Movie You Watched I also recently watched again The Girl With The Dragon Tattoo. That film is awesome 5 out of 5 stars. I liked how she got revenge on the guy that raped her! Then the Red Magus shall behold only Leviathan, and he shall recognize that he has become the perfect mind, who shall remake the Cosmos in the eternal glory of his Setian Will.